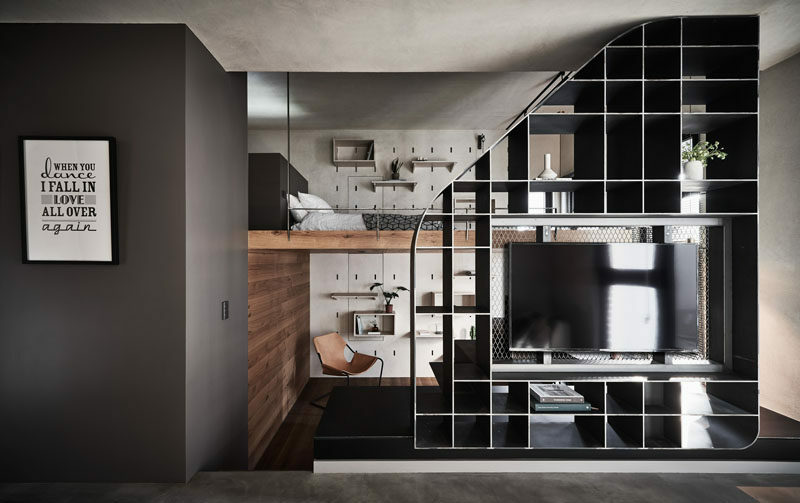 KC Design Studio have recently completed the interior design of a small and modern apartment in Taipei, Taiwan, that’s spread out over three levels. 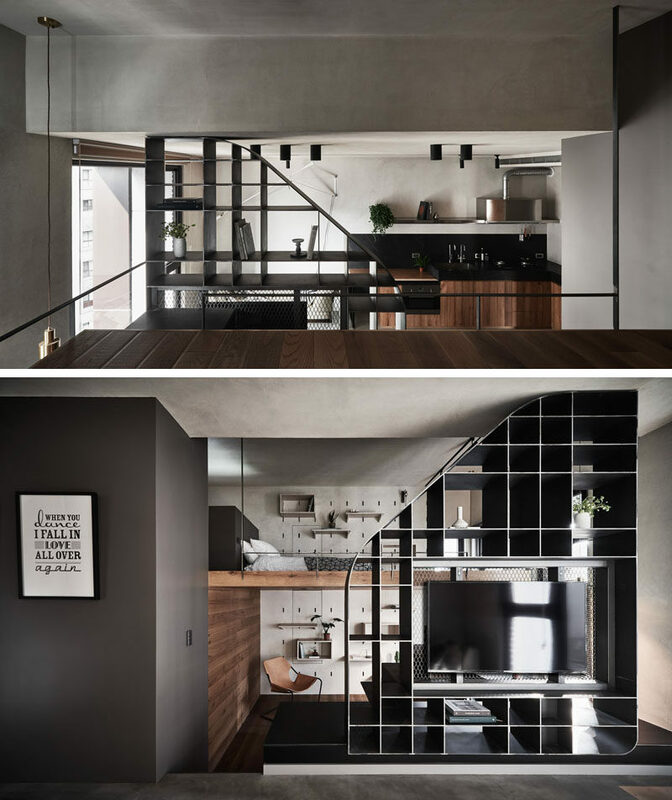 The main level of the apartment is dedicated to an open plan living room, dining area, and kitchen. In the kitchen, the thick black counter drops down to become a lower wood countertop, which can be moved to become the dining table. 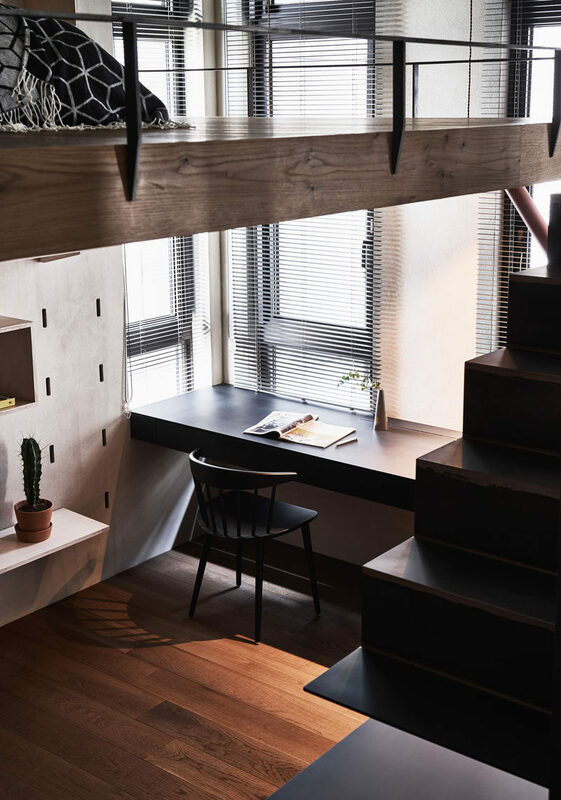 On the lower level, the space is dedicated to a home office, that features a pegboard wall and allows the shelving to be moved when needed. The wood accent wall hides the door to the bathroom. 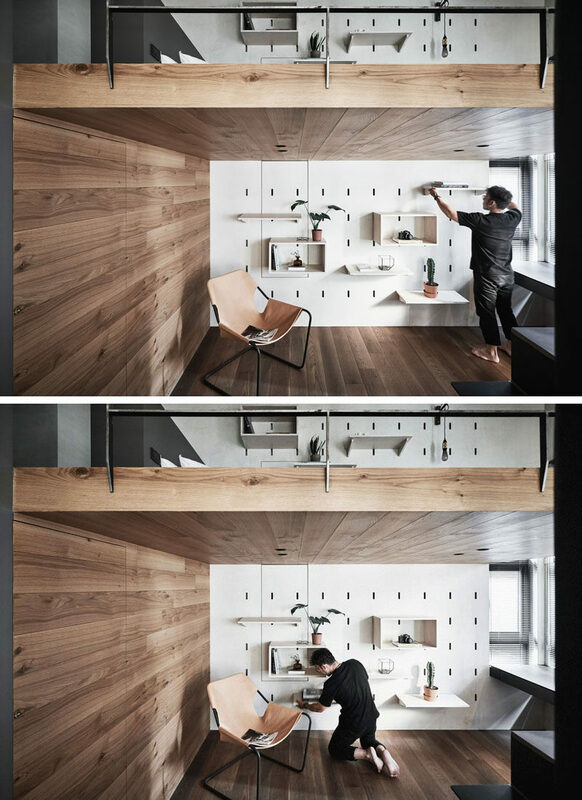 A desk is positioned by the windows to take advantage of the natural light. 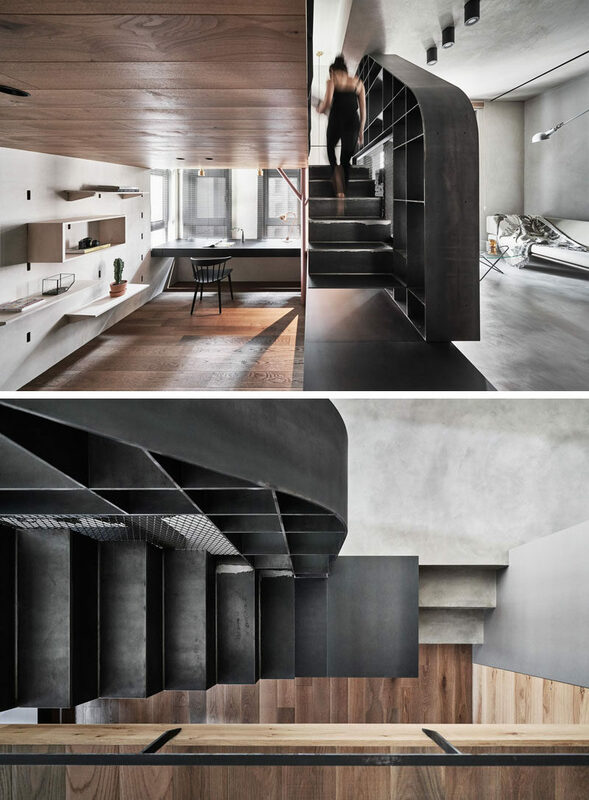 The steel stairs that separate the living space and the home office, also lead up to the mezzanine. The mezzanine is home to the bedroom. Beside the bed, another pegboard wall has been added, creating the illusion that it continues through to both levels. 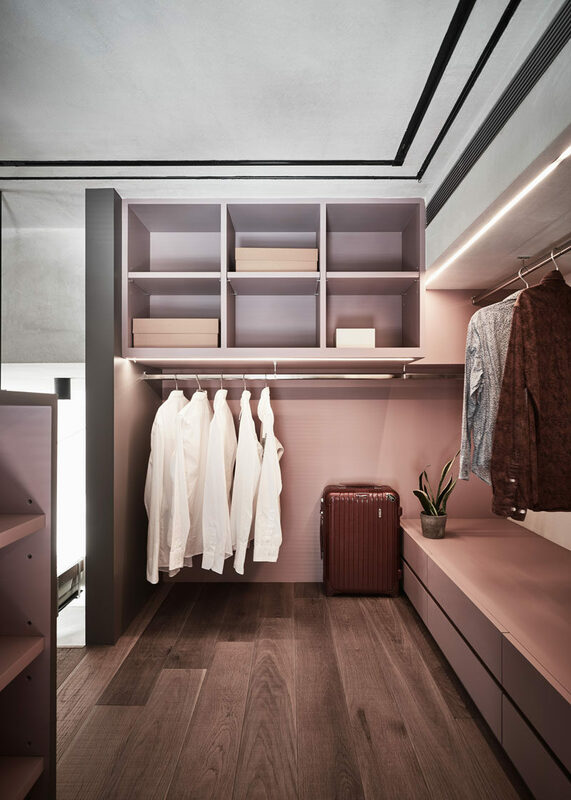 Behind the bed is a custom-built open closet with lighting.